It looks like he says, ​​"That's why I'm out." And oh boy, this does not look good for the Dubs. Draymond's big talk might really come back to bite them on this one. Many great dynasties have ended due to beef between players or because of internal fighting within the organization. Will history repeat itself with the Dubs' dynasty? The rest of the ​league surely hopes so. 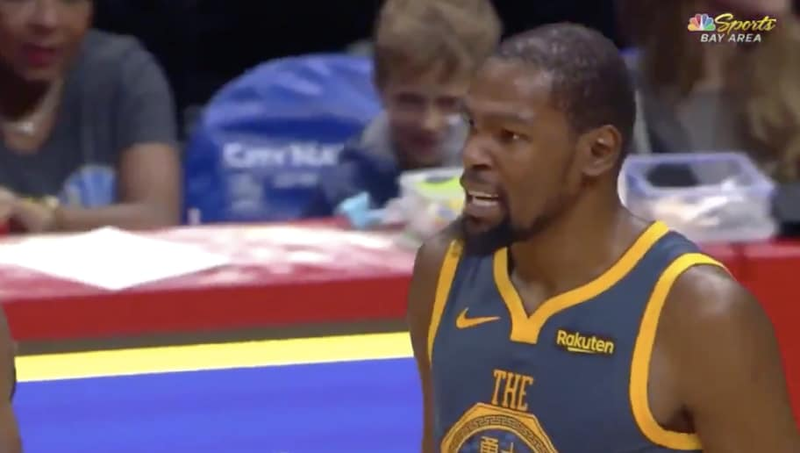 ​​Is ​KD sick of listening to Draymond yell and complain? That looks to be the case here if KD is pointing to their arguments as a reason for wanting out. Of course, we've seen the two teammates go at each other verbally before, though it's never been as bad as this. We'll have to wait and see if the Warriors can make amends and repair the damage done. If they don't, this very well may be the first step in the destruction of a dynasty. Only time will tell.